As time speeds on here in Chiang Mai, a slow itch is returning to my feet. It feels like an age since we got a real taste of adventure, so lately my thoughts have been occupied by our upcoming trip to Nepal and Sri Lanka. I can’t wait to hike in the Himalayas and explore UNESCO sites in Sri Lanka. That being said, I’m also slightly anxious about how our budget will cope when freelance work takes a back-seat to travel. With that in mind, I thought I’d take a look back at some of our cheapest and most expensive travel experiences over the last four years. Rewind to the very first month of our trip when we were travel drunk and had three years worth of savings in our bank account. 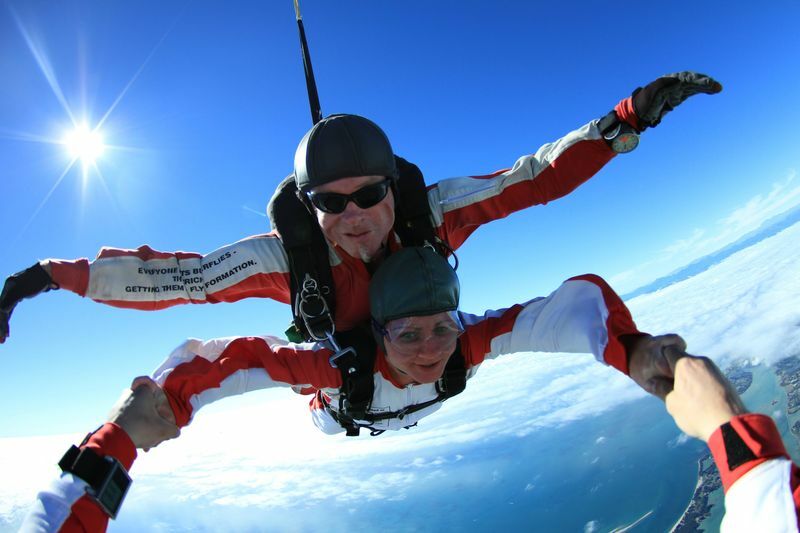 Combine that with the Kiwi tendency to jump off/out of things and it’s easy to see how we ended up skydiving in Abel Tasman. The freefall was the most terrifying (and expensive) few seconds of my life, but when the parachute opened I was totally awed by the mountain and sea views spread beneath me. The sense of relief when my feet touched the ground was immense. Looking back at the video, I still can’t believe I found the courage to jump out of a plane, it was definitely a once in a lifetime experience. Cost: £256.63 per person. Read a full breakdown of our New Zealand travel costs. We really blew the budget on activities in New Zealand and embraced the idea of trying new things. 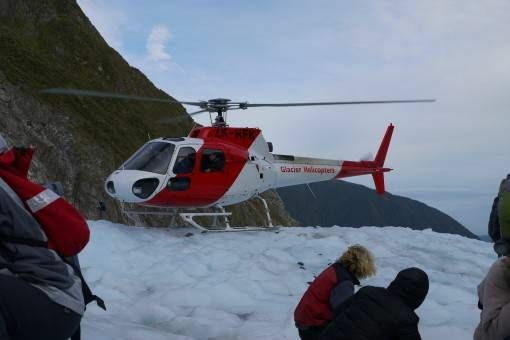 This included riding a helicopter up to Fox Glacier where we strapped on crampons and went for a three-hour hike. We were surrounded by an alien landscape of ice formations and caves, which we stomped through on our spikes, stopping to taste freezing water from glacial rivers. We haven’t set foot on a glacier or rode in a helicopter since that day, so this was definitely one of our most unusual travel experiences. It’s a cliché, but snorkelling on the Great Barrier Reef is one of those bucket-list travel experiences you just can’t miss. 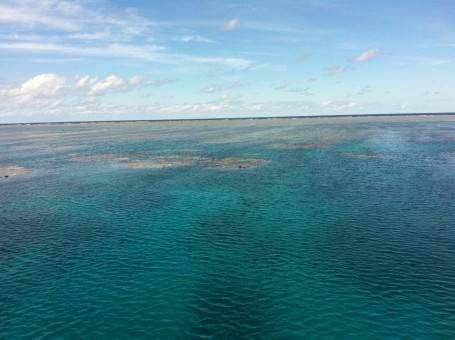 Even though we opted for a cheap day trip from Cairns, the Great Barrier Reef surpassed my expectations. Back then, I’d only snorkelled once before so I was nervous pulling on my stinger suit and slipping into the water. Almost immediately we were greeted by a reef shark gliding peacefully through the clear depths, weaving amongst giant clams and an endless variety of colourful fish. It’s just a shame that we have barely any photos to show for the experience! Cost: £121.10 per person. Read a full breakdown of our Australia travel costs. 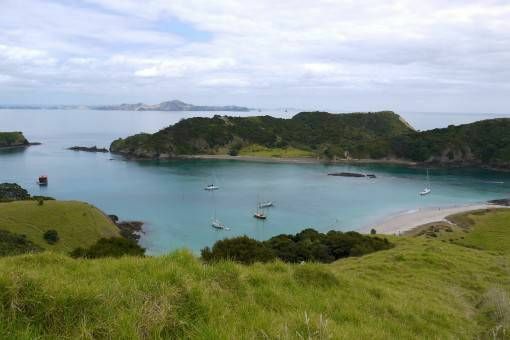 We’d been in New Zealand less than 48 hours when we arrived in Paihia for an overnight cruise of the Bay of Islands. Keen, weren’t we? Dolphins jumped through the waves alongside us and in the evening, we kayaked into the bay beneath a star-filled sky bisected by the silvery smear of the Milky Way. Beside us, phosphorescent plankton left a sparkling trail in the water. I’ve never seen a more incredible sky in my life, which makes this one of my best travel experiences. 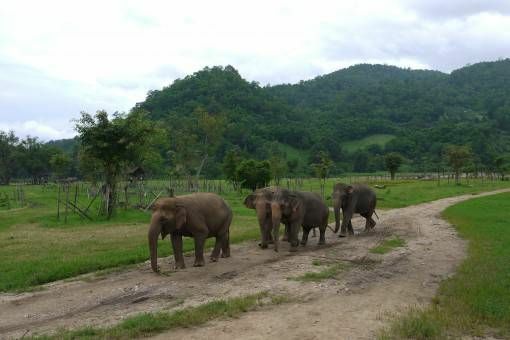 Elephants are such an iconic part of Thai culture but getting up close to them can be an ethical minefield. Sadly, elephants are still chained and abused in the tourism industry across Asia, but it feels like things are changing here in Thailand. Nowadays, when you walk around Chiang Mai, you’ll see tour companies advertising ‘no-riding’ trips to elephant sanctuaries. One of the best places to ethically see these gentle giants is the Elephant Nature Park and our visit there was truly humbling. Andrew and I even returned to the ENP to volunteer with their Dog Rescue Project. Cost: £50 per person. We’ve got a breakdown of our Thailand travel expenses and a post about how much it costs us to live here in Chiang Mai. This counts as one of our most hair-raising yet memorable travel experiences. 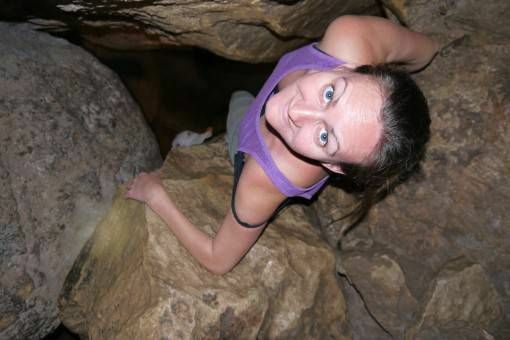 Imagine descending into underground caves lit only by a feeble head torch and kerosene lamp, squeezing through narrow gaps, waist-high water and climbing up slimy rocks. Well, that’s the Cave Connection tour in a nutshell. We hired a local tour guide to lead us through the labyrinth of caves filled with unique rock formations. After hours of traversing barefoot through the darkness, we emerged gratefully into the daylight. Cost: £7.50 per person. Here’s our full cost breakdown for travelling in the Philippines. Laos remains our cheapest country to travel in and the activities were no exception. 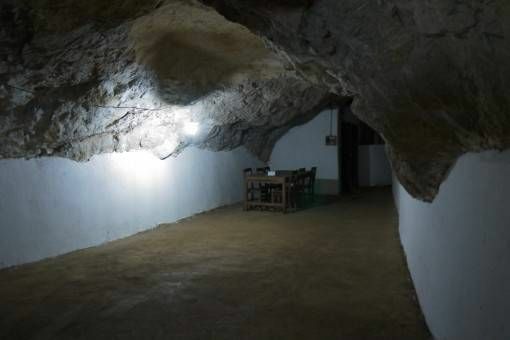 This fascinating tour took us into a deserted underground city that was once filled with people sheltering from American bombs during the war in Vietnam. We explored the huge limestone caves filled with the ghostly remains of hospitals, school rooms, bunkers and theatres which all once hummed with life. 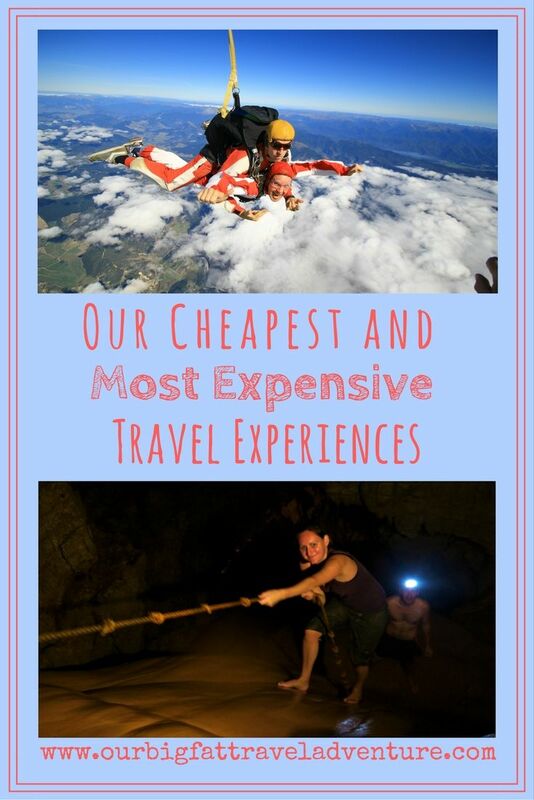 This was one of the cheapest and most fascinating travel tours we’ve taken. Cost: £4.70 per person. Check out our ridiculously cheap Laos travel costs here. 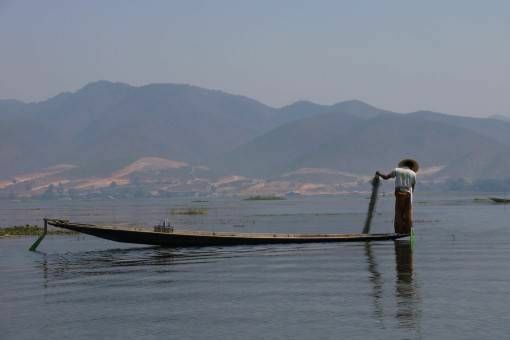 We rose at dawn for our boat trip on Lake Inle, one of Burma’s most popular tourist haunts. As the sun rose high into the sky we shielded ourselves with parasols and floated past the lake’s iconic fishermen and floating crop fields. Sure, our driver did take us to some markets that felt like tourist traps, but we also caught a glimpse of local life in the stilt-house villages and visited a beautiful monastery, not bad for less than £5 each. Cost: £4.60 per person. Read a full breakdown of our Burma travel costs. 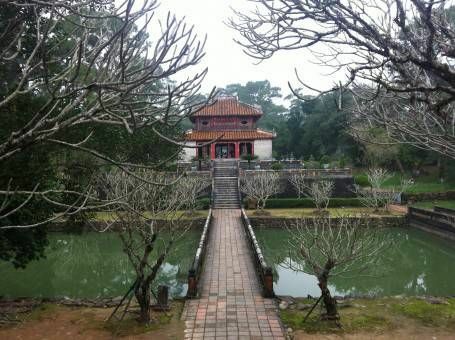 We had just one full day to properly explore Hue, one of Vietnam’s most historic cities filled with citadels, shrines, temples and palaces. Although we prefer to sightsee independently, the best option in this case was to take a tour which was incredibly good value for money and included a trip in a dragon boat along the river. Cost: £5.50 per person. Here’s how much it cost us to travel in Vietnam, as well as a look at our living costs when we were based in Hanoi. Trekking in Batad is still one of my top travel experiences to date but it was also one of the toughest. 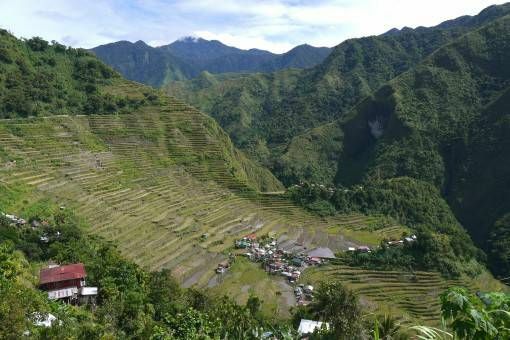 Our guide, Adi, was one of the first people we met upon trekking into the remote town of Batad which was surrounded by steep staircases of rice and forested mountains. Adi took us on a day hike which involved sheer drops, incredible views, dangerously powerful waterfalls and clinging like a mountain goat to rocky inclines. There’s nothing like the Philippines for some wild adventure. What are your cheapest, most expensive or most amazing travel experiences? One of the most expensive things: We went to America for the first time a few years ago, and we did a road trip and many national parks in California, Utah, Arizona and Nevada. Our son was 9 at the time, so I asked him what would be on his wish-list. He wanted to go to Disneyland California! Cost $220 for 2 adults, and 1 nine year old child. In January! For a single day. Booked in advance. Online! I paid it anyway! p.s. Disneyland Paris was €280 for three days. In March. In a disneyland hotel with half-board. Our child was free! One of the cheapest: A double room at the student university hall. And I had the room all to myself. In the summer. In Prague. $2.00 per night! I don’t think I’ve ever beaten that lol! Wow, that was a cheap massage in Cambodia! I think my cheapest was £3 in Thailand (and it didn’t include a beer lol). New Zealand is such a budget eater because there are so many awesome things to do – but it’s worth it!! I have been following your blog since the start and I remember your blog posts on some of these amazing real bucket list activities. I have followed in your footsteps and have just been snorkelling in the Great Barrier Reef, it is worth every penny spent. For me the most expensive to date was a helicopter ride over the Grand Canyon. I just can’t wait for your blog posts on Nepal, a dream destination for me. Your blog is a constant source of inspiration to me? Hi Gilda, are you in Australia now? How exciting! Glad you enjoyed the Great Barrier Reef! A helicopter ride over the Grand Canyon sounds incredible! It’s crazy to see how the South Asian countries are significantly cheaper. I would almost prefer the Inle Lake tour, Burma as opposed to the Rock Boat Bay of Islands Cruise, New Zealand. It seems more intimate to the land. Which did you guys prefer? Hi Derek, we actually preferred Bay of Islands as we felt it was better protected and less touristy, Inle was still a great experience though.